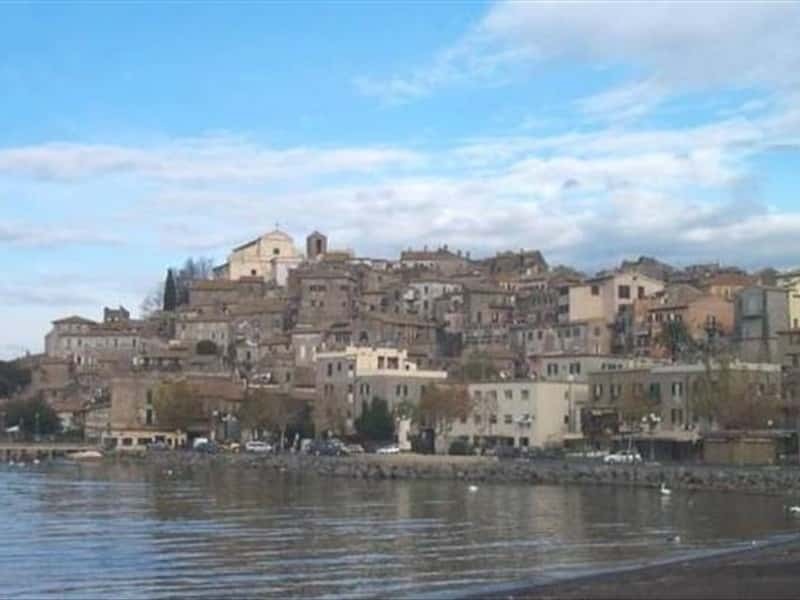 It is a town in the province of Rome, located on the southeastern shore of Lake Bracciano, whose name derives, according to the best hypothesis, from the presence in the area of a Roman villa, called "Angularia", as built where the lake formed an angle, "Sabazia" instead, refers to the god Dionysus (also called the Sabbath) or ancient lake Sabatinus. The history of the center is closely related to the family of Anguillara, of which there are records documented since the XI century, and who maintained the rule of the fief until 1488, when the last descendant of this Family died. The area has been inhabited since the Neolithic period, attested by the finds excavated in the area of La Marmotta. After Anguillara, the fief was ceded to Gentil Virginio Orsini d'Aragona, former Lord of Bracciano, who, after a series clashes with Pope Alexander IV Borgia, was able to keep hold of the possession for several decades. Strangled by debts, the Orsini were forced to cede Anguillara to Francesco Grillo de 'Mari, Duke of Mondragone. - the Source Claudia, the natural spring of a therapeutic sparkling water. This town web page has been visited 22,012 times.